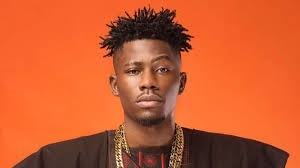 Rapper, Ycee still believes that Sony records tried to exploit his music career, and is now warning artists to stay weary of their alleged 'milking' devices. What started out as a thing of joy has turned into sorrow. In October 2016, Sony Music Africa announced rapper Ycee as the newest member of the family. A year later, Ycee is regretting having anything to do with Sony Music, and for the second time in three months, he has publicly called out the organization on Twitter for allegedly exploiting him. “MAJOR LABELS approaching you and claiming to help you grow? Be very very careful. They tried to ruin my career but we had a PLAN B.” he tweeted. “I’ll speak as much as I can to prevent others from being a VICTIM. Too many artistes stay silent and make others suffer the same cause” he added. In August, Ycee in a series of tweets accused Michael Ugwu, the Regional Executive of Sony Music and FreeMe Digital of reaping musicians off in the guise of wanting to help. However, a recent press release from Sony Music suggested that the label sees Ycee as a priority.